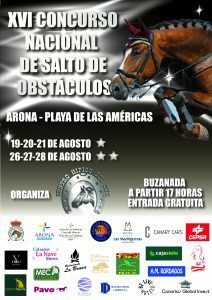 The participation in these competitions has been overwhelming, since in addition to the riders trained in our facilities, of which we are very proud, attracted riders from other clubs on the island, from the entire archipelago and even to the elite of the equestrian Spanish. 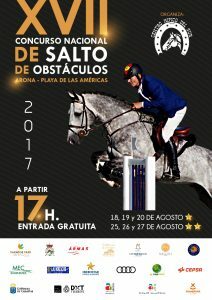 Well-known names like Luis Astolfi Pérez de Guzmán, four times Olympic, Cayetano Martínez de Irujo, Manuel Fernández Saro, Aurelio Gutiérrez, Luis Espinosa López, Ismael García Roque, Álvaro Muñoz Escasi, Luis Plaza, Alfonso Salguero, Diego Porres, Benito Iñiguez, The brothers Bidón, Carlos and Javier Bosch, Alejandro Fernández and Luis Astolfi Junior. 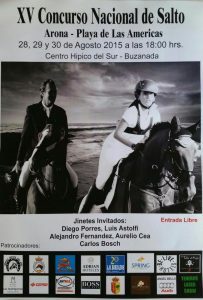 Teaching is the highlight of all the activities that take place at the HIPICO DE TENERIFE CENTER. There are courses for jumping, taming and turning, both for children and adults. There are three levels of learning depending on the student’s knowledge, with classes taught in four languages: Spanish, English, German and Swedish. The Equestrian Club Los Migueles began its activity at the beginning of the 90s. It has been adapting both its commercial strategy and its facilities to the needs that the market demanded and it has been equipped with all the necessary services for the organization of any type of event, both professional and playful. 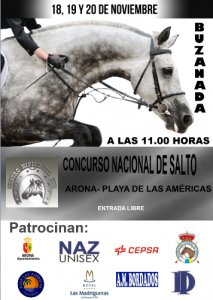 Currently it organizes 5 high level competitions a year, with a large participation of riders from all the Canary Islands and the Peninsular territory that move to our facilities.